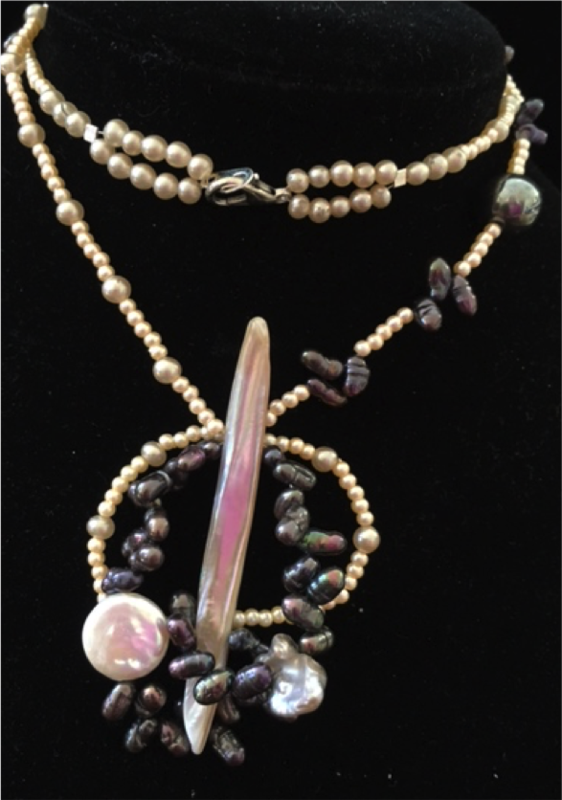 This necklaces combines ivory and purple gray pearls. Explanation: Purple amplifies good judgement and promotes peace of mind, while white manifests the qualities of all colors providing openness and clarity. - promotes self care and emotional healing.